Valentine’s Day is just around the corner, which leaves approximately four days to find the perfect outfit! Whatever your plans may be, use this day as an excuse to pull of the prettiest look you can imagine. 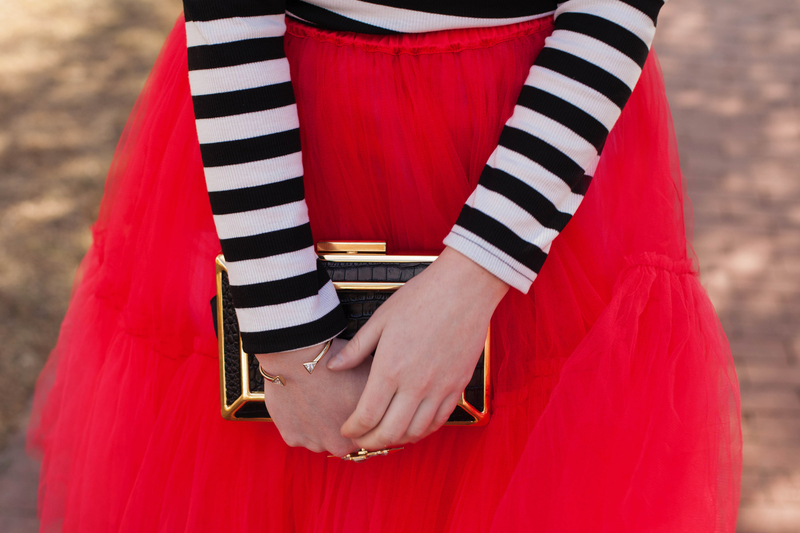 Valentine’s Day is your excuse to wear that dress your bought years ago or that amazing tulle skirt you just had to have! Whatever ridiculously romantic look you are think of, you can pull it off. 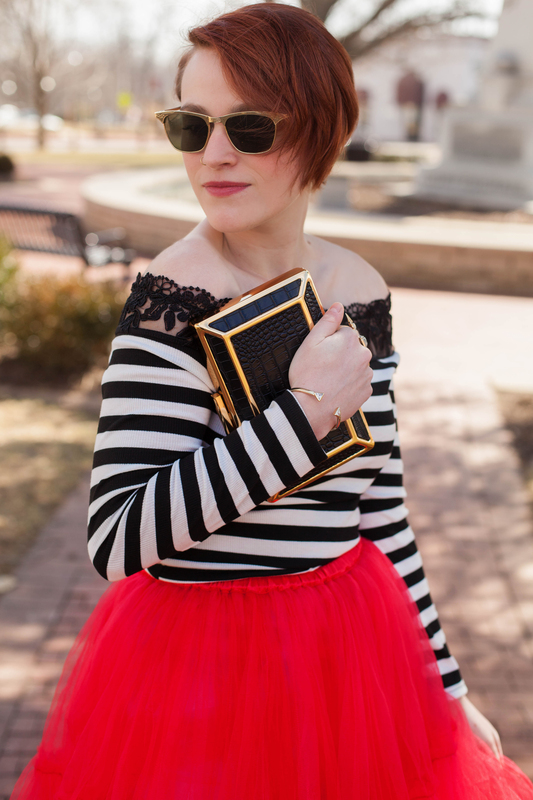 Today, I am taking my own advice and showing off my Valentine’s Date night look which just happens to include lace AND bright red tulle. With this outfit I’m ready for roses, chocolates or maybe just a night out with friends. You know, in all honesty, it doesn’t matter what you’re doing this Saturday, if you’re single or together, Valentine’s Day is about loving yourself and all those around you! So put on your fanciest dress and let’s party! ← It’s Friday, I’m in Love! A sunny southwestern look perfect for the weekend!